Did you know that the Girdwood Forest Fair is our community’s largest philanthropist? Each year a volunteer committee of dedicated Forest Fair locals pulls off three days of art, music and community and donates the profits to local non-profits including the Four Valleys Community School. Their generous donation helps to fund our scholarship and financial aid programs for both kids and adults who would like to take our classes, but need a little extra help to do so. Ask around, you will find that the Girdwood Forest Fair quietly funds many local non-profits who serve Girdwood. They are community in action! 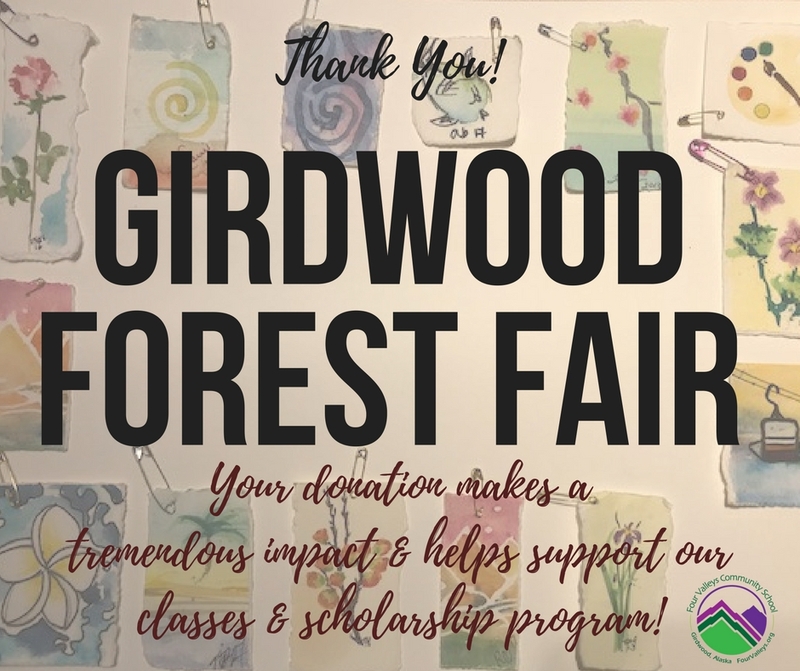 Thank you Girdwood Forest Fair Committee!